Ghost Squadron. The next film project? Here’s the old trailer to a script my wife Gilly and I wrote long time ago. We are re writing it with a new slightly different twist. The basic story line is about a bunch of aging WW2 vets that are taken back in time to face the Ghosts of their past and a world where NAZI Germany might have won the war and developed advanced technologies and even flying saucers. The special Luftwaffe wings with the satanic symbol were a fictional elite squadron that were destroyed by our veteran fighter pilots long ago. The elite squadron never even had a chance to fight back. Now our veteran pilots must face the fight they never had and learn the truth behind the Nazi secrets that could have won the war. We are seeking funding for this great project. Be sure to watch full screen and in 1080p HD! Well it appears I’m back on again with the Spock Ears. A company I’ll name at a later date will more than likely sell these as they are Paramount licensed. More on that later. 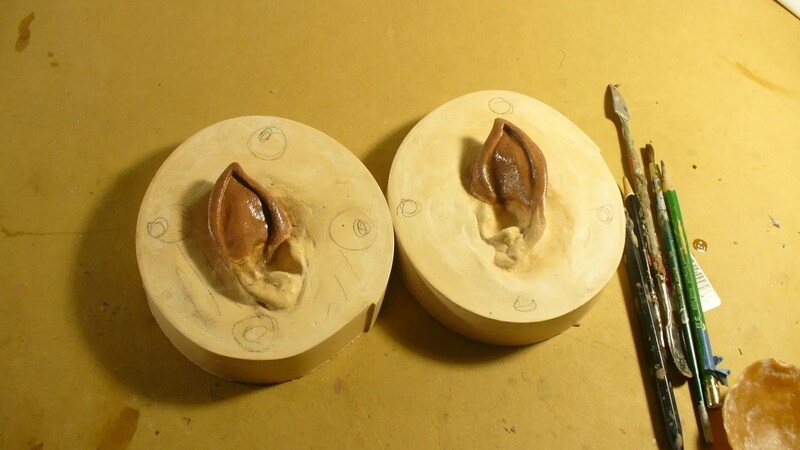 What I’m doing now is taking the ears I started on my wifes ear casts a year ago and finally finishing them as a test. 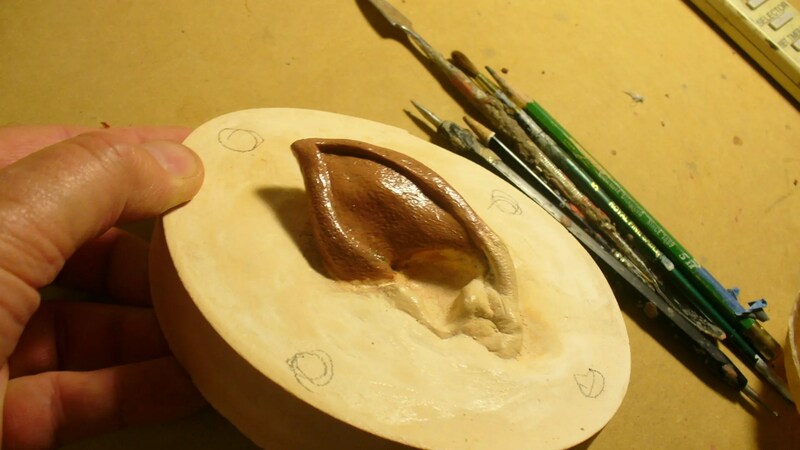 The bases are dental stone and the molds are silicone on piece molds with a dental stone mother mold. 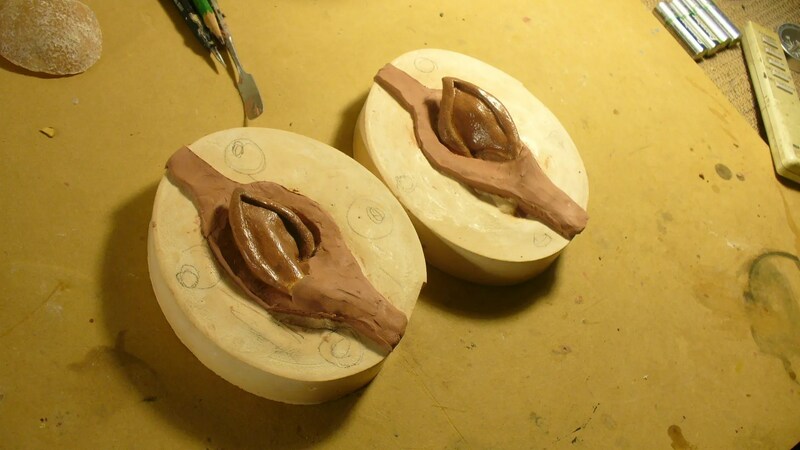 Currently they sit in my shop poured in the silicone and tomorrow once set up I’ll add the stone mother molds. I’m testing Skin Flex A,B,C for those of you in the know over foam latex because it’s my hope that they can be reused. Urethane is a lot stronger than foam rubber and it will last for years and years where as foam rubber will just rot away. If all works out these will be sold as Spock Ears and come in small and large sizes. Here are the old sculptures re worked. The clay around the edges is to facilitate flow and ecape of the excess material once it’s pressed into the molds.